Dean Sklarenko talks about risk and reward situations on the golf course. 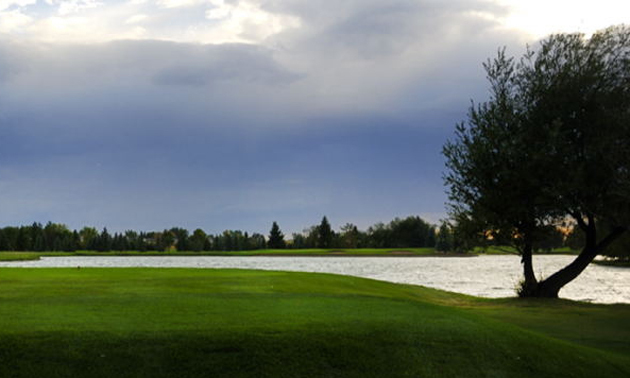 Proudly serving as the Picture Butte Golf Club’s head professional since 2007 and club manager since 2012, Dean Sklarenko describes his club as one where each of the three nine-hole courses offers golfers options with club selection and course management. He said a number of holes are considered risk and reward, where a great shot can lead to birdie or better, but a miss shot can lead to double bogey or worse. “The Homestead No. 5 is a hole that has some amount of risk and reward,” said Sklarenko. “For a lot of players the green is reachable off the tee; however, you have to be wary of the water hazard. “I would suggest that you have a far greater percentage chance of making par by playing it traditionally as a two-shot hole, making a shot to the landing zone on the fairway and playing it across to the green for your second shot, as opposed to the risk/reward of going to the green on your first shot. You’ll generally make better scores by playing it to the green in two shots as opposed to taking a risk over the water, hitting a ball into the water and having to replay.